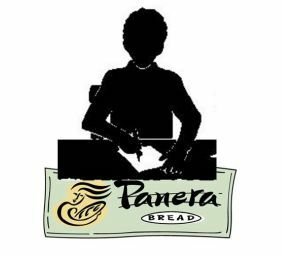 Panera Bread has taken a stand to raise the bar and become transparent in their new campaign to offer consumers the best nutritional quality possible. They even put their promise out there for the whole country to see in the form of a letter, ads and commercials. As I read the letter and watched the commercials, I was impressed with the measures they are taking and think it’s a great example of our consumer rights in action. That’s why I am using it as a realistic way to reinforce the consumer rights with my students, as well as include non-fiction reading and writing into my curriculum. Review the following consumer rights: The Right to Safety, the Right to Information, the Right to Choose, and the Right to be Heard. Discuss with students what “advertising campaigns” are and why they are used? Advertising campaigns are an organized course of action used to promote a product or service. How have you seen this done with fast food eateries or restaurants? Hopefully, students share but here is a great article with video clips of the Six Most Successful Fast Food Campaigns of All Time. Ask how many students have eaten at Panera Bread. Ask how many know of their new advertising campaign, and then view this YouTube clip as a class. Not only was this clip used to promote their campaign, but Panera Bread’s Founder, Chairman and CEO wrote a letter to America explaining his solution to the obesity epidemic which was placed in newspapers across the country. I happened to find it in USA Today while on vacation. A copy of the letter can be found here. Use the letter to help students see how consumer rights are being used by having them read and answer questions based on the information provided. If your school wants you to promote non-fiction reading and writing activities, this is a great way to include it into your curriculum. After answering and discussing the letter, questions and responses, have students write either a letter of complaint or a letter of compliment, which is always a good life skill and important to know how to do. Begin with a rough draft, peer edit, type, grade and mail. See the guide sheet below for specific details and prompts. Hopefully students receive a response…share and discuss as they arrive. This is a great lesson! I'll have to use it in the upcoming year!